MANILA, Philippines – Series of videos of “Filipino teens gone wild” are going viral nowadays on all social media platforms. It was just yesterday when TheSummitExpress featured a video of two alleged Pasay West High School (PCWHS) girls who were involved in a scandalous melee while being watched and heated-up by their colleagues. Today, another group of teens participated in an outrageous wrongdoing caught on tape. It’s not just an ordinary dogfight or altercation, it’s a serious juvenile crime. “Ride and Die”. This is the typical motto of best friends who stick together through thick and thin and until the end. A group of four minors is now in hot water for trying to hold-up the passengers boarded on CEM Bus Transit which was heading south. The video was uploaded on Tuesday morning by a certain “Kupal Lord” on his FB Fan Page. 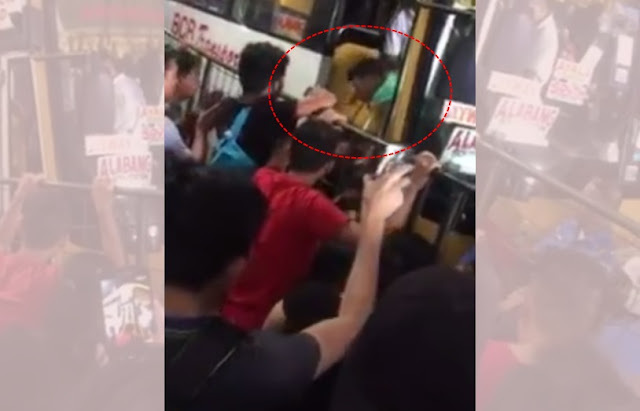 The video was taken at the Ayala MRT Bus Stop showing an Alabang bound – Bus operated by CEM Transit locking-up the alleged hold-uppers while MMDA constables and a Police Officer in uniform surrounded the bus who were all ready to nab the suspects. 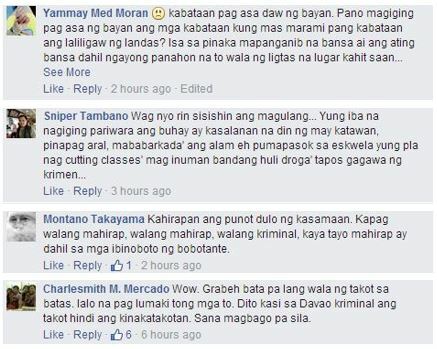 Base on Kupal Lord’s video caption, the bus driver kept the door shut to prevent the young bandits from fleeing. It was unclear however, whether the young boys successfully executed the heist and harm anyone aboard or not at all. The constables and policeman waited for the teens to alight and immediately apprehended them. It is very alarming that juvenile crimes in the Philippines increase annually with theft and robbery as the most committed crimes by the delinquents aged 15 and above as per statistics provided by Department of Social Welfare and Development (DSWD) and the Bureau of Jail Management and Penology (BJMP). Paranaque, Pasig, Muntinlupa, Valenzuela, San Juan and Malabon are the usual cities where juvenile delinquents prey as per DSWD. It is a very rare occasion where a juvenile crime happens in Makati City specifically on Ayala Avenue where MMDA and Makati Traffic Enforcers a.k.a. “Yellow Boys” are at large. One of the solutions that the legislators are continuously pushing is to lower the minimum age of criminal responsibility (MACR) from 15 years old to 13-year-olds which is deliberately being opposed by the Commission on Human Rights (CHR). Nobody’s really safe nowadays. Law enforcers are being outnumbered by outlaws drastically. This is a serious matter that our government leaders should address the soonest. Escalating street crimes can possibly be a cause for our economy’s downfall. It will have a massive effect and set back on tourism and foreign investments if it remains unsolved. To the brave CEM Bus Driver, thank you for standing solid on your grounds and protecting your passengers. You deserve a raise from your operator and valiant award from the government. To all commuters, always be alert. Avoid wearing jewelries and showing off your phones and gadgets on public / open areas and transportations.